Case IH Heavy-Offset disk harrows perform an array of soil-conditioning tasks with tough, long-lasting components. 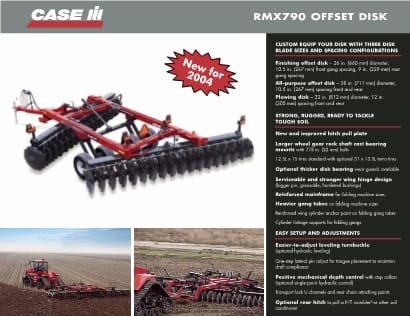 Our offset disk harrows can be custom equipped with three disk blade sizes and spacing configurations to easily deep-till stalks and stubble, bury brush and level irrigated fields. 11' 1" - 27' 2"
11' 1" - 22' 7"
​Compare our heavy offset disk harrow specs to other manufacturers' specs.